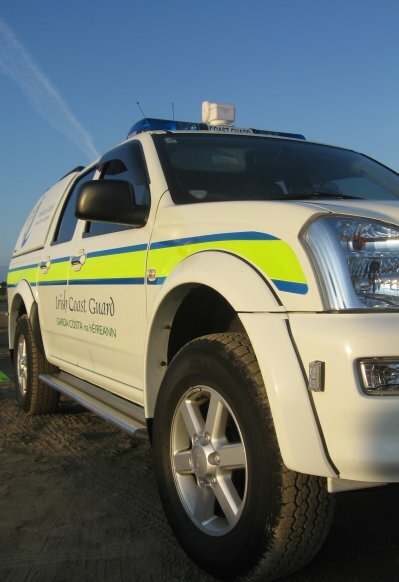 At 13:55 this afternoon, the Coast Guard’s maritime coordination centre received a call from a member of public reporting a person in difficulty on cliffs near Portrane. The caller reported that a person had been climbing on the cliffs near Tower Bay, Portrane and was now unable to return to safety and required assistance. The Skerries Coast Guard team assembled at their station and departed to the scene. However, within 10 minutes of the tasking the team were stood down. Further details were reported to the Coast Guard, indicating that the person was no longer in difficulty. Remember – if you spot someone in difficulty on the cliffs or coast, even if you only think someone may be in difficulty, call 999 or 112 and ask for the COAST GUARD. Your call could save their life. This entry was posted in Callouts and tagged Callouts, cliff rescue, donabate, Portrane, skerries coast guard, Tower Bay by admin. Bookmark the permalink.